Animation of the face is, of course, a good thing. Excessive animation, however, causes wrinkles that can eventually become static and permanently etched into our features. Not only can these deep lines age us in appearance, they can make us appear angry, sad, tired or stressed out when we are, in fact, happy, awake and relaxed. A class of medications known as neuromodulators can relax muscles to create a more relaxed and more youthful appearance. Neuromodulators are a class of medications which change the way that messaging is conducted between nerves and muscles. Neuromodulators have many uses within medicine including the treatment of chronic migraines, severe underarm sweating, blepharospasm (eyelid spasm), strabismus (misalignment of the eyes when one or both eyes turn inward or outward) and more. Cosmetically, they are used in very small doses to relax muscles that cause excessive animation of the face. Neuromodulators are administered by injection. The syringes are so tiny they don’t feel like much more than a mosquito bite. Skinpossible carrys Dysport and Botox. Neuromodulators start at $10 per unit and you only pay for the number of units used. Forehead Lines: When the muscles in the forehead are overly strong, it creates vertical frown lines and horizontal lines across the forehead. Relaxing in this area is the most common use of neuromodulators. Crow’s Feet: These lines that appear at the outer corners of our eyes when we squint or smile can easily be relaxed. Eyebrow Shaping: A subtle elevation and arch in the brow can be created to open up the eye. Lip Lines: Smoking, puckering or just talking can cause lines to develop around our mouth. Relaxing the muscle around the lips is a cheap fix. Neck Bands: The platysmal bands in the neck tend to become tight, prominent, and stringy in appearance as we age. They can be relaxed for dramatic improvement in appearance. This popular treatment is known as a Nefertiti Neck Lift. Other uses: Bunny lines on the nose, a gummy smile, a masculine jawline, downturned lips and more. Neuromodulators have a well-established safety profile and for cosmetic purposes, the dose is very small. Dosing depends on the strength of the muscle, the degree of relaxation desired, the gender of the patient and, of course, the type of neuromodulator being administered. Men generally require higher doses than women because their muscles are stronger. How much will these remarkable benefits cost? The cost, which can vary greatly from clinic to clinic, depends on dosing, how many areas are being treated, and the type of medication being administered. Some neuromodulators take effect faster than others and some last longer than others. The cost for maintenance may come down with extended use, as excessively strong muscles will usually weaken over time and require lower dosing. If you use this class of medications to relax excessively strong facial muscles for a few years and then stop, the muscles will gradually strengthen again. Wrinkles and lines will return but will always appear more subtle than they otherwise would have if you have never had them treated. Administering neuromodulators is an art! The goal is to relax the muscles to smooth out animation lines. Dosing that is too high can freeze features and create a rather odd looking appearance. Moderate dosing, on the other hand, creates a natural, youthful looking appearance that you will love. Neuromodulator injections at Skinpossible are performed by trained physicians and cosmetic nurse injectors. Our team of injectors will keep you looking natural. Cosmetic injections are all they do, all day long, and they are very good at it! Yes! Neuromodulators such as Botox have been used for cosmetic purposes for over 20 years and have proven to be very safe through extensive testing and research. Rarely, there can be some minor bruising which is not permanent (and is easily covered up with makeup) or a slight short-term headache. A temporary eyelid droop is also possible for very rare. While not without potential side effects but there has not been a confirmed serious case of spread of toxin effect away from the injection site when BOTOX® Cosmetic has been used at the recommended dose to treat frown lines. Typically, for a cosmetic treatment, you will receive 30-100 Units of Botox. To make someone remotely sick you would have to receive over 35 times this dose all at one time which would NEVER happen (plus it would cost you over $42,000 - absolutely impossible!) You really are getting a VERY TINY dose. Generally after the consultation and assessment the procedure only takes about 15 minutes. Injection sites may look like a mosquito bite for a few hours. Other than that there is no downtime and nobody will know you have had anything done. It will usually take 4-5 days before you see any changes and it can take up to 2 weeks to fully take effect. The muscle relaxing effect is not permanent and varies from person to person. Results will last between 3-4 months on average. 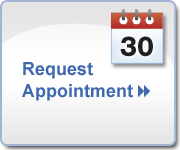 We recommend that you have your first three treatments promptly every 3 months without waiting in between. Most people who follow this advice will find that they can eventually increase the duration of the results from each treatment. In time you may only need retreatment twice per year and this will save you money. No! Your face will never get worse when it wears off or if you stop using Botox. If you use Botox for a number of years and then stop getting treatments your wrinkles will gradually reappear but usually be better than they would have if they had not been relaxed for those years. At the very least you will return to where you started, but you will never look worse than you otherwise would have. Injecting neuromodulators and injectible fillers is an "Art" that requires a trained eye, a gentle hand, and a thorough understanding of facial anatomy and proper dosing. Your treatment may be performed by one of our doctors if this is your preference. Keep in mind that some of the best and most sought-after aesthetics injectors in the world are not doctors but are, in fact, trained cosmetic nurses. As with all of our procedures we strive to make your Botox treatment experience as pleasant as possible. During your treatment you will be seated in one of our comfortable treatment chairs while relaxing music plays in the background. Very low doses of Botox will be administered in a series of tiny injections with a very fine needle. You will feel safe, comfortable and pampered during your Botox treatment at Skinpossible. At the time of your treatment a follow-up assessment will be scheduled for 2 weeks later. This will ensure we are able to see how your facial muscles reacted to your treatment. There will be no charge for this follow-up appointment unless you require more product to fine tune your treatment results. If a bit more product is required it will be applied during this appointment at an additional cost. After your first treatment or two we will have established the exact dosing required to give you the optimal desired result, and follow-up assessments will no longer be necessary. Absolutely! Both women and men globally are using Botox to maintain their youthful appearance. Since men have stronger facial muscles than women, however, they will usually require slightly larger doses. Although it has not been linked to the occurrence of birth defects or other serious side effects, Botox, Dysport and Xeomin injections are not recommended for women who are pregnant or breastfeeding and for those with neurological disorders. Before proceeding with any treatment at Skinpossible your health history will be reviewed by one of our health care professionals.